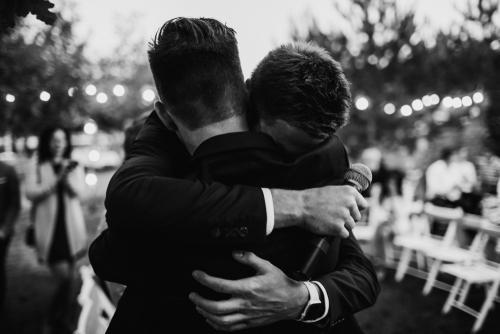 The brother of the groom speech is the ultimate best man speech. You’ve grown up with him, lived with him, played with him, and now the big day is here. The day you get to make fun of him in front of all your family and friends. Of course, this isn’t strictly true. You have to also pay tribute to what a great guy he is blah blah blah. But, mostly, it’s about roasting him. Follow Speechy’s expert advice, and you’ll create a speech that’s memorable for all the right reasons. Why Is A Brother of The Groom Speech Special? It’s all about the ammunition you have. Yes, you’re the best man, so you inevitably have the drunken stories and questionable fashion sense to bring up. But you’ve also got the childhood anecdotes; the ones that will put the father of the bride’s potty training tales to shame. Even if you live in different countries these days, you have decade’s worth of evidence on this dude, so your first job is to collect it. Get your folks involved. Shove dad up the loft and get out the old report cards. Have a brainstorm with your mates over some Magners. Find his beloved old teddy. Consider yourself a Scandi-noir detective hunting down the most embarrassing anecdotes known to man. Of course, ask yourself some probing questions…Did you grow up squabbling or were you always as thick as thieves? Was one of you ALWAYS the favourite growing up? Or who was it who got all the grubby hand-me-downs? Who was always the funnier / smarter / sportier brother? It’s time to dish the dirt and get your own back. As a glorified, best man speech, there aren’t any of the boring, administrative speech things for you to concern yourself with. 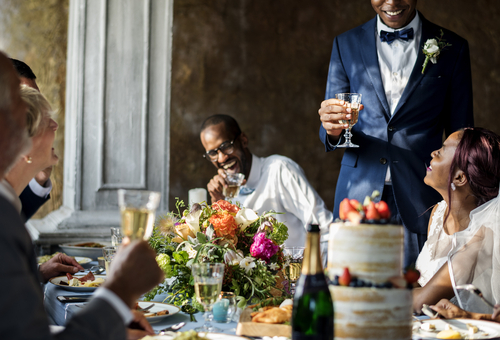 The groom or father-of-the-bride will deal with thanking people for coming and thanking individual members of the wedding party. Yours is PURELY about the fun. You have almost free-rein to write the perfect, ten-minute toast to your brother. Ignore the idea of ‘telegrams’ if you can. What can’t be said by text isn’t worth saying really. 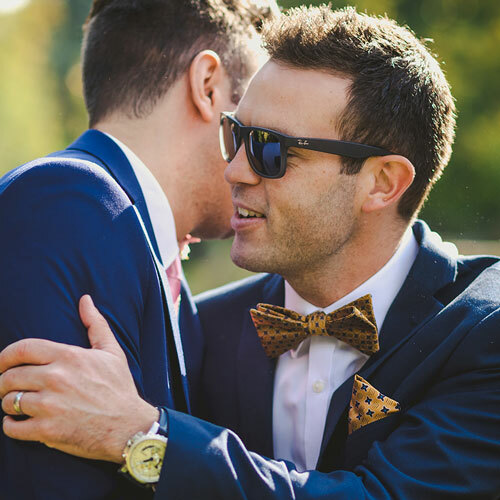 Firstly, as there’s so much to learn from the typical best man speech, it’s more than worthwhile to read Speechy’s Best Man Advice Page on writing the ULTIMATE version. The bulk of the speech should be a concise and funny description of the groom in just a few minutes. Use stories, memories and fun comparisons to get across your brother in a real way. Prove, don’t just tell. If he’s a sensitive chap, reveal how he always cries at ET – even in his early 30s. Find the qualities that make him unique – his photographic memories of the Nando’s menu, his unusually short T-rex arms. It may seem like you’re taking the mick, but that’s how us blokes show we care. You don’t need to put every story in. You’ll probably find a common theme, so only use the ones that fit, rather than go off on several tangents. About two-thirds of your speech should be roasting your brother, but that final section is when you get nice. Pay tribute to what a steller bloke he is. Again, prove, don’t just tell. When you say he’s always there for you, remind him of the time he picked you up from the train station at 3 am after you lost your wallet. Of course, you have to talk about how pleased you are he’s got married and what a wonderful woman the bride is. 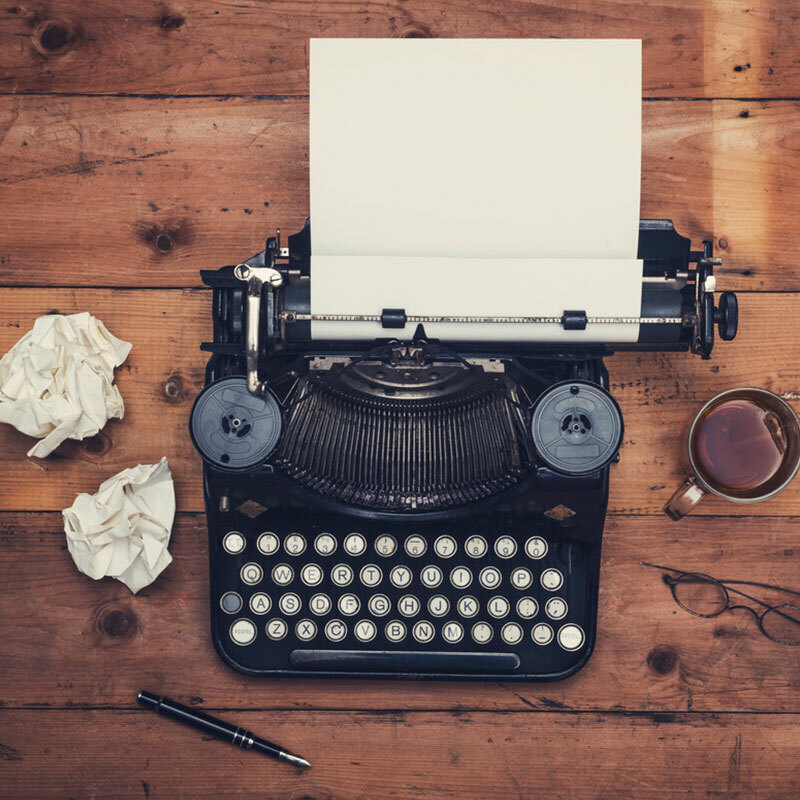 Make sure your compliments sound sincere and avoid clichés. Don’t feel you have to pretend she’s a princess if she isn’t. Celebrate her for who she actually is – even if it’s Jagerbomb fanatic with terrible taste in hip hop music. As long as it’s said in a genuinely loving way, it’s okay. Though one cliché is a must: she looks beautiful. Typically, the best man also thanks the bridesmaids but the groom will also have done this, so if you do, keep it quick. Your speech, of course, needs to end with a toast. It should be directed to the bride and groom but make it personal if you can. 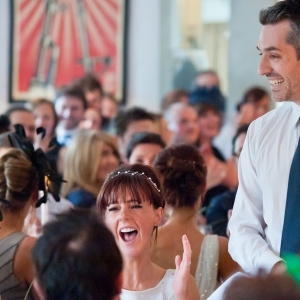 ‘Here’s to the bride and groom – thank God this isn’t a Jagerbomb’. Whatever suits it. 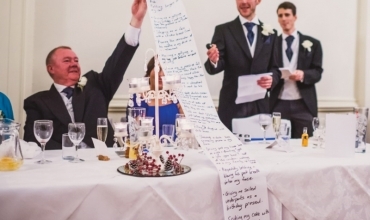 Speechy’s Best Man Speech Template is the ultimate DIY Speech Kit on the market. Fun, clever and guaranteed to put a smile on your mate’s face. You’ve worked so hard to get the laughter, why would you cut it short?! While it’s tempting to roast your brother to the point of a nervous breakdown, remember to some this might come across as bullying. So, if you think you’re pushing things a little close to the edge, rein it in. While you shouldn’t Google gags (even granny’s heard the one about honeymooning in Bangor these days! ), you are allowed to use funny, witty or sentimental quotes from people smarter than you. Just make sure you credit the author or someone else will! 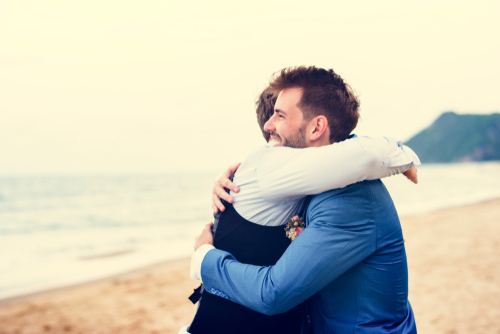 Check out our Best Man Quotes Blog for inspo. Unless it’s happy tears obviously. No ‘edgy’ humour directed at her. Nothing about your brother’s ex-girlfriends. The speech should be around ten minutes long. Practice it a lot before the big day and if it feels like it’s dragging, don’t just speak faster. Edit your speech! DON’T – read from your phone. 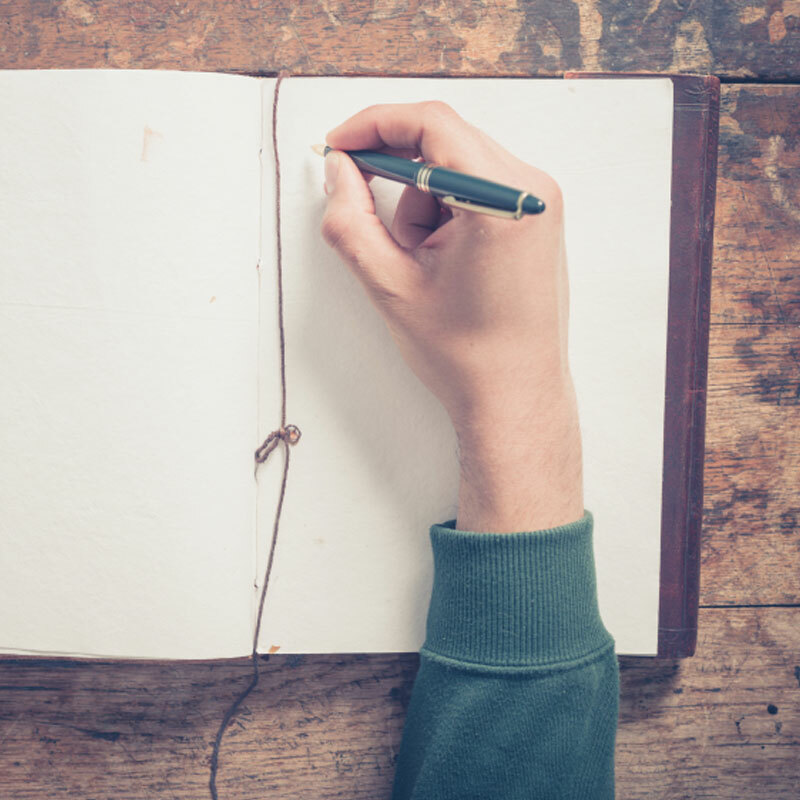 It’s okay to read from notes but make sure you’re familiar with your speech. Rewrite any areas that you keep stumbling over. 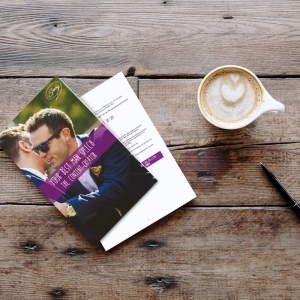 Only print your speech so it covers two-thirds of the top of an A4 page so that your eye line doesn’t go too low and you can maintain eye contact with the guests throughout. 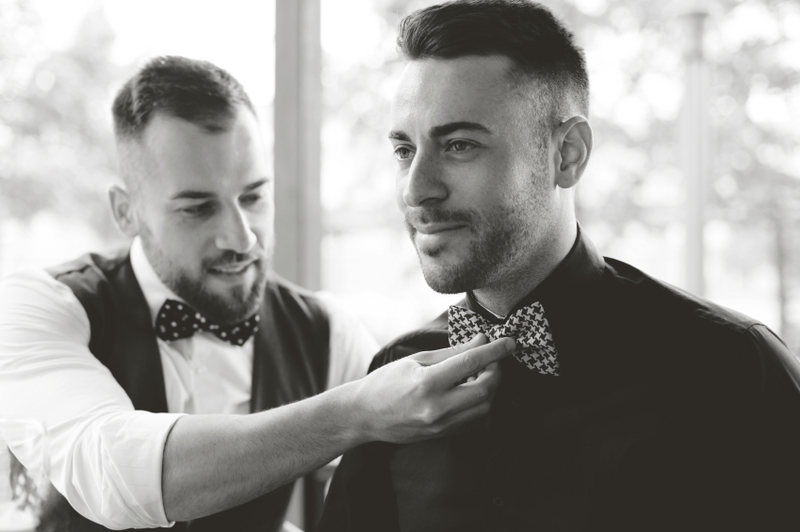 Get in touch with us for a no-obligation natter about the best product or service to suit you.